The Dark Tower is a 2017 fantasy-science fiction film based on the Stephen King Dark Tower novels. The film is directed and co-written by Nikolaj Arcel, known more as a screenwriter than a director. The movie stars Matthew McConaughey (Interstellar and The Wolf of Wall Street), and Idris Elba (Star Trek Beyond, Pacific Rim, and Prometheus). Tom Taylor, appearing in his first movie, plays Jake Chambers an eleven-year-old who sees visions of another world. These visions include an evil Man in Black seeking to destroy a dark tower and a stoic gunslinger fighting against him. Everyone dismisses these visions as bad dreams caused by the death of Jake’s father a year earlier. I have several friends who’ve read the eight-book Dark Tower saga and enjoyed them, and others have described the novels as Stephen King’s magnum opus. I haven’t read the books so, this review is based largely on the movie. If you see this film as I did, with little or no knowledge of the novels, you will probably leave thinking it provided ninety-five minutes of escapist entertainment. However, with Stephen King writing the novels and the acting depth of Matthew McConaughey and Idris Elba, I wanted more. 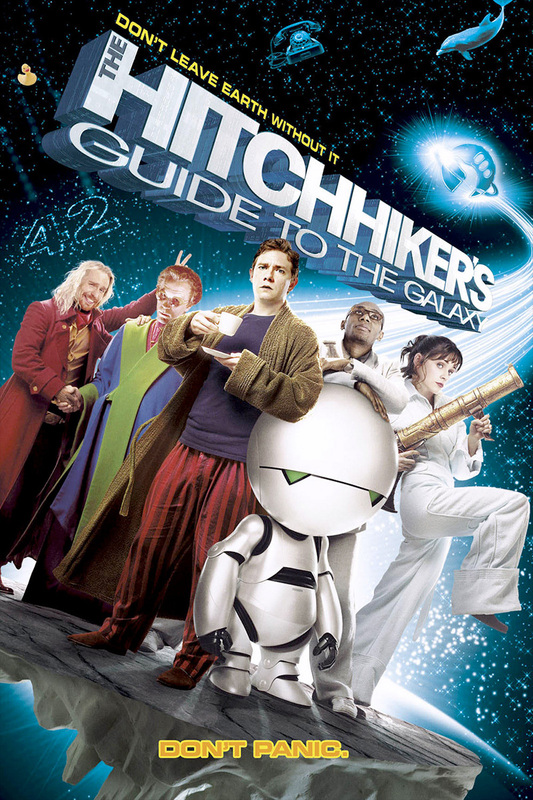 Sony thought this movie would be the start of a franchise of films based on the novels. I’m sure they were reaching for an Oscar level production, but what I watched was only a decent fantasy-science fiction film. Some scenes seemed like early drafts. They hinted at a bigger, grander story, that hadn’t yet been laid down in the script. But from what I’ve heard of the novels, that grander story is there for the taking. Danish director and co-writer Nikoliaj Arcel just didn’t take the depth and breadth that Stephen King had provided. Since watching the movie I’ve heard that a number of scenes had to be rewritten and reshot, some multiple times. Had this sucked some of the life out of King’s story? I left the theater thinking I had seen a decent movie that, with the right director and script, could have been great. I’m going to recommend you Wait and Rent The Dark Tower. The Space Between Us is a 2017 American science fiction film directed by Peter Chelsom, produced by Richard Lewis and based on a story by screenwriter Allan Loeb, and Stewart Schill. The film stars Asa Butterfield, as Gardner Elliot, a teenage boy born on Mars, and Britt Robertson, as Tulsa, an Earth girl living in foster care. They meet and talk online. Apparently, in the future, there is no delay in communication between Earth and Mars. Gardner falls in love and, when finally given a chance to return to Earth, he runs away to find her. Following a fairly standard formula of boy longs for a girl that is out of his reach, boy meets girl, boy and girl fall in love, but forces beyond their control might tear them apart forever, the movie targets teens and young adults with a mixture of near-future science fiction and romance. Except for a bit of coarse language, and a love scene that implies more than it reveals, this could have been a PG movie, but it is rated PG-13. Click here for a detailed examination of the film's rating. If you go into this film expecting a near future teen to young adult romance with a space twist then it can be an enjoyable popcorn movie. However, since the film has nothing new and is aimed at a young audience (that I don’t think is reading this blog) I’m recommending you Wait and Rent The Space Between Us. Passengers is a PG-13 hard science fiction movie directed by Morten Tyldum (The Imitation Game), and starring Chris Pratt and Jennifer Lawrence. Five thousand passengers and crew are asleep in hibernation pods aboard the starship Avalon on a 120 year voyage to planet Homestead II. However, just thirty years into the trip, a malfunction awakens passenger Jim Preston (Chris Pratt). Later Aurora Lane (Jennifer Lawrence) awakens. Unable to return to hibernation, the two face living the rest of their lives together on the ship as it travels in deep space. However, the problem that awakened Preston remains and is a growing danger to the ship. They will need to risk their lives or everyone may die. In addition to Pratt and Lawrence both Michael Sheen and Laurence Fishburne, have roles in Passengers, but the film still has one of the smallest casts I’ve ever seen for a big budget production. That being said, I think the bartender, played by Sheen, steals some of the show. As often happens, during the second act the plot takes a twist. This one involves Preston in an act of desperation. How you feel about that twist will determine how you view the remainder of the movie. Passengers offers little that is new to the science fiction genre, but the plot is good, it’s well acted and the CGI is first rate. Despite my issue with Preston, I found myself dwelling on the many issues raised by the movie for several days. Even now, when I think about the last scene of the film, it evokes emotion. If you’re a science fiction fan I think you’ll enjoy the movie. Arrival, released in November of 2016, is a science fiction film directed by Denis Villeneuve and stars Amy Adams (Trouble with the Curve and Miss Pettigrew Lives for a Day), Jeremy Renner (Captain America: Civil War and Mission Impossible – Rogue Nation), and Forest Whitaker (Battlefield Earth and The Last King of Scotland). The screenplay was written by Eric Heissere and is based on the Nebula Award-winning short story by Ted Chiang. The movie is rated PG-13. Click here for a detailed examination of the film’s rating. Twelve alien spacecraft arrive over different parts of the globe. World governments make first contact but are unable to communicate. Like all the nations of the planet the United States government wants to know one thing, what do the aliens want? In desperation, the military reaches out to linguist Louise Banks, played by Amy Adams. Colonel Weber, played by Forest Whitaker, takes Banks to a growing military camp in Montana near one of the alien ships. Working with another scientist named Ian, played by Jeremy Renner, Banks struggles to understand the alien's language of clicks and chirps. As tensions around the world increase, she begins to decipher not their spoken language, but their written one. Arrival is a movie that requires you to think and be engaged with it. It is both a story of sadness in the life of Louise Banks and how the world might change starting on that first day of contact with an alien race. What should we do? How would we greet them and how would we communicate with them? Part of this movie is told in flashback, or is it. Time, and our perception of it, is at the heart of this film. A portion of this movie can only be understood if seen in both the present and future. As I said, Arrival is a story that requires you to think. No cities are destroyed during this movie and the military plays a largely supporting role. However, in one scene, a small group of American soldiers act by themselves to harm the aliens and supposedly protect the world. As I sat in the theater watching this unfold I kept thinking that the soldiers would be better trained and led. The subplot seemed forced, for added tension, and didn’t seem plausible to me. Thankfully, this is a very small part of the movie. Arrival is science fiction in the best tradition of the genre. If you like movies that cause you to ponder elements for days afterward then you will like this film. Recommendation: Buy a ticket and see it in the theater. The film Hacksaw Ridge, directed by Mel Gibson, is based on the true story of Desmond Doss, a Seventh-day Adventist from the hill country of Virginia. The United States entered World War II when Doss was in his early twenties. The young man found work in a shipyard and, despite being offered a deferment due to his work; he enlisted on April 1, 1942. However, because of his religious beliefs, Doss was a pacifist and refused to use or even carry a weapon in combat. You can imagine the considerable abuse he suffered from other soldiers due to his pacifist position. Despite the abuse, he does finally become an Army medic. These events are all well portrayed in the first part of the film. While some of the abuse Doss endures early in the film might be difficult to watch, much of the later portion shows war at its worst. Think of other Mel Gibson movies such as Braveheart, The Passion of the Christ or Apocalypto, but with all the brutality concentrated into one nearly unbroken sequence. Doss fought in the Battle of Guam and Leyte, but this movie focuses on the Battle of Okinawa and the fight for the Maeda Escarpment where Doss saved the lives of 75 wounded infantrymen. This fight was brutal and is accurately portrayed in the movie. Desmond Doss earned the Medal of Honor, and numerous other awards, including the Bronze Star Medal with one Oak Leaf Cluster and "V" Device, and the Purple Heart with two Oak Leaf Clusters. Those who fought in World War II are often called the greatest generation. What those men and women sacrificed for freedom is difficult to comprehend. I found myself wondering if I could have maintained my Christian principles, or even faith, under the onslaught of such epic evil and brutality. Hopefully, I will never have to face that question, but Desmond Doss did and held tight to his faith. I came away from the movie respecting Doss for both his courage and faith. I recommend that you buy the ticket and see Hacksaw Ridge, but be forewarned this movie is rated ‘R’ for intense prolonged realistically graphic sequences of war violence. Click here for a detailed examination of the film's rating.